SAITAMA (TR) – Saitama Prefectural Police on Monday arrested a 24-year-old woman for causing her young daughter to suffer frostbite after leaving her in a non-heated bathroom at their residence in Soka City this past winter, a case that is one example of regular abuse administered by the suspect, reports Yukan Fuji (Aug. 13). 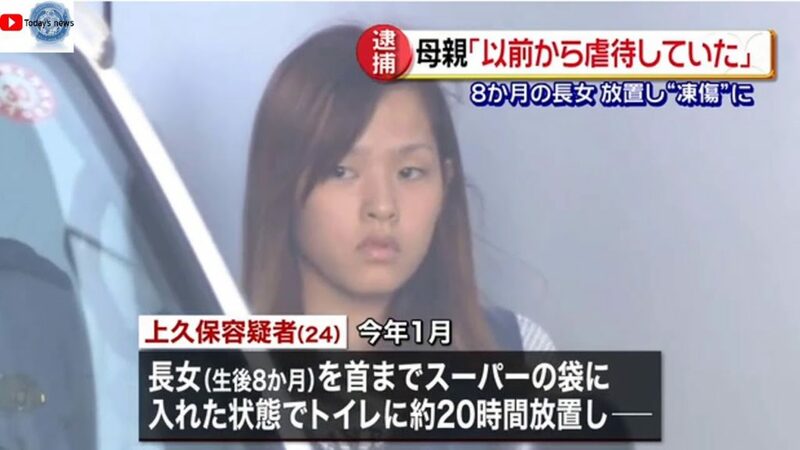 Over a roughly 20-hour period starting at around 5:00 p.m. on January 13, Asuka Kamikubo allegedly placed her daughter, 8 months old, in a plastic bag while wearing only a diaper in the exposed bathroom. According to the Soka Police Station, the girl suffered several injuries, including to two toes on her left foot that required up to six months to heal. On January 14 at 2:00 a.m., the temperature dropped to as low as minus 1.2 degrees Celsius in nearby Koshigaya City, according to meteorological records. Kamikubo, who has been accused of neglect as a guardian resulting in injury, admits to the allegations. 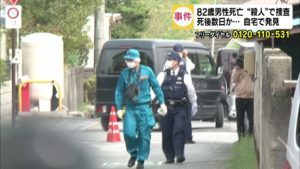 “With taking care of my daughter not going smoothly, it prevented me from developing an attachment to her,” Kamikubo was quoted by police. Kamikubo lived with her daughter and son, 2, at the residence. 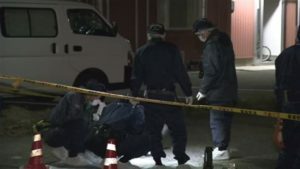 On January 15, the suspect and her daughter visited their family home in Tokyo. During that visit, the suspect’s mother alerted emergency services after noticing the injury to the girl. After administering medical treatment, hospital staff alerted a child consultation center, which took custody of the girl, police said. Police also suspect the girl was the victim of regular abuse, having suffered bone fractures in about 20 locations of her body. “Ill-treatment started from a while ago,” Kamikubo was quoted. Kamikubo’s boy did not experience any abuse, police said.